Are you feeling overwhelmed and out of control? 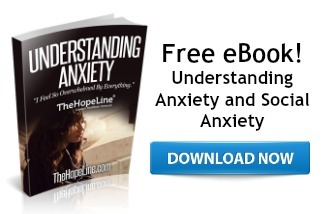 Is anxiety and worry interfering with your daily life? Hand your burdens over to God and let Him give you a deep sense of peace as you work through your issues with anxiety. Matthew 6:25-34 – Therefore I tell you, do not worry about your life, what you will eat or drink; or about your body, what you will wear. Is not life more than food, and the body more than clothes? Look at the birds of the air; they do not sow or reap or store away in barns, and yet your heavenly Father feeds them. Are you not much more valuable than they? Can any one of you by worrying add a single hour to your life? Proverbs 3:5-6 – Trust in the Lord with all your heart; do not depend on your own understanding. Seek his will in all you do, and he will show you which path to take. 2 Thessalonians 3:16 – Now may the Lord of peace himself give you peace at all times and in every way. The Lord be with all of you. Matthew 11:28-29 – Come to me, all you who are weary and burdened, and I will give you rest. Take my yoke upon you and learn from me, for I am gentle and humble in heart, and you will find rest for your souls.